Action Pistol is a combination of speed and accuracy, weighing more on the accuracy aspect, with speed still playing a major factor in your ability to put up a good score. NRA Action Pistol is a fun, challenging and exciting discipline. Being able to draw a pistol from holster, fire 6 rounds in 5 seconds into a paper plate sized scoring area, is a lot of fun and very challenging. 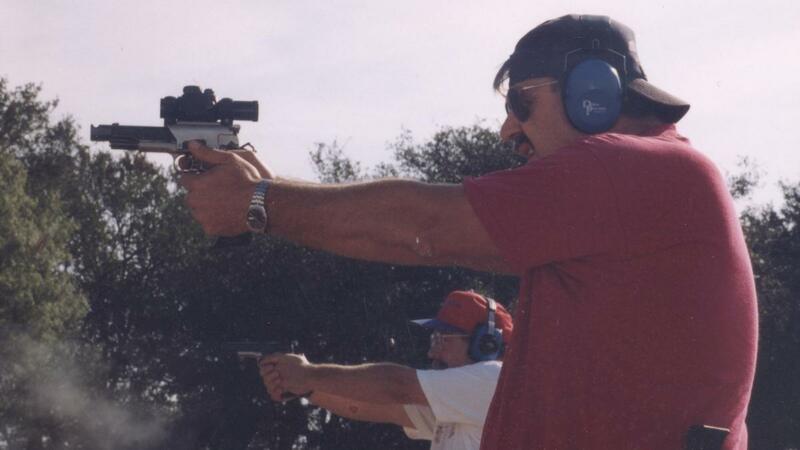 The confidence gained in your marksmanship from shooting NRA Action Pistol will be noticed when shooting other popular “Action Pistol” shooting disciplines. Action Pistol originated in 1979; it was established by former police officer John Bianchi of holster maker Bianchi International, as a Law Enforcement Training Match. 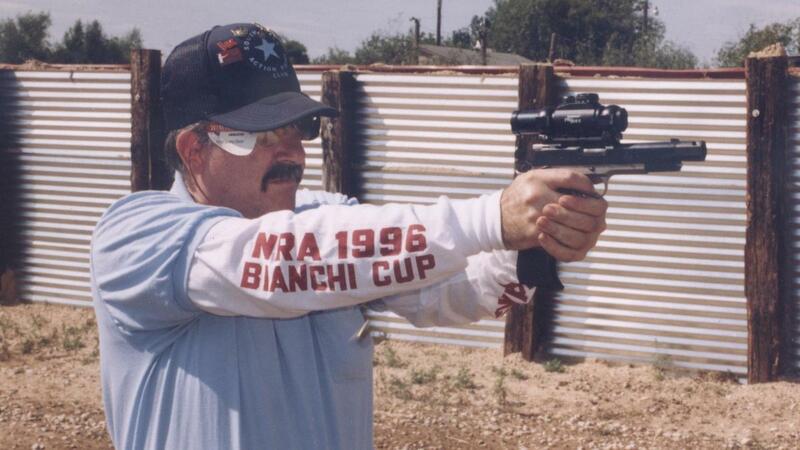 In conjunction with the help of 1975 IPSC World Champion, Ray Chapman. The first Action Pistol competitions were held in 1979. If you are a novice shooter you do not need a lot of specialized, high price equipment to participate. It’s possible for a beginner to compete with an out-of-the-box firearm that is semi auto or revolver; the key factors of any gun are safety and reliability. 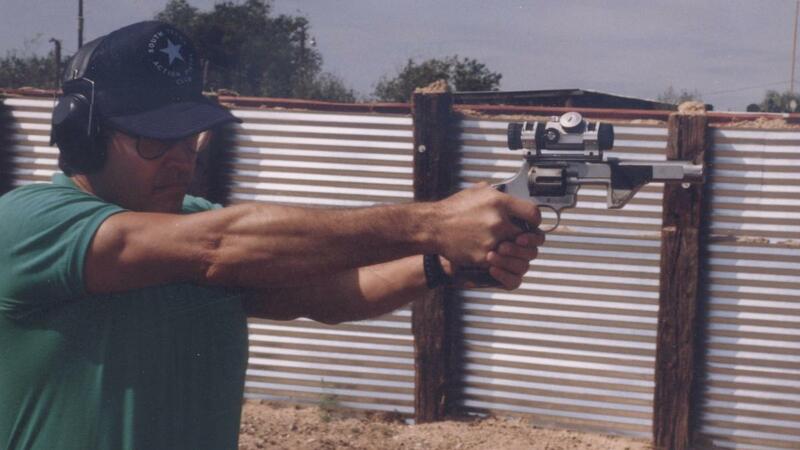 Another very important piece of equipment for Action Pistol Shooting is a safe holster. Proper eye and hearing protection are required. In order to compete in an NRA Action Pistol competition, you’ll need are a pistol, holster, ammunition magazines and magazine carriers. If you are using a Revolver, you will need the same equipment specific to revolvers i.e. speed loaders and speed load carriers. While almost any belt will work, a quality waist belt is recommended to help eliminate holster movement during the draw. Stiff belts are much better than soft/flexible belts. 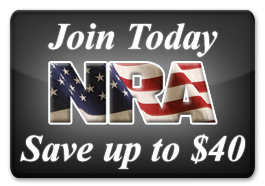 The most common caliber used in NRA Action Pistol is 9mm. This is closely followed by .38 Super as well as .38 Special. There is a power factor in NRA Action Pistol of 120,000. Most if not all factory ammunition has no problem making power factor. 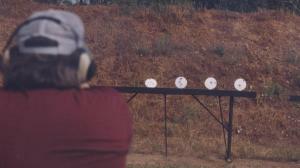 Custom loads should be tested before use in competition to avoid being denied use of ammunition the day of competition. Power Factor formula: Bullet weight (grains) x Velocity (feet per second) = 120,000 or more. There is also a .22 Rimfire classification which is growing in popularity among every level of competitor, from novice youth, all the way up to the Pros. 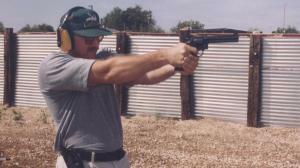 All approved courses of fire can and may be fired using Rimfire pistols. There are 3 different “Divisions” or types of pistol within the sport of NRA Action Pistol: Open Division – you are allowed the use of an electronic sight, also found in the open division are “wings” for bracing against the barricade during events that include shooting from cover. A minimum trigger weight of 2 lbs. You may also use an “Open” holster. Metallic Division – you are NOT allowed to have electronic sights of any kind, you are allowed the use of adjustable sights on the front and rear of your firearm. You are NOT allowed the use of “wings” but you do have the same 2 lbs minimum trigger weight and are allowed the use of an open holster. Production Division – you are not allowed any of the modifications of the Open or Metallic Divisions. The intent of the production division is for you to use an “out of the box” pistol. You must use a standard top draw holster and there is a 3.5 lbs trigger weight minimum in any mode for semi auto and in double action only mode for revolver. 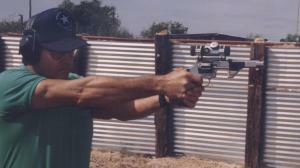 COURSES OF FIRE There are 17 Approved Courses of Fire in NRA Action Pistol. Targets used are NRA AP-1 for and 8” steel plates are used for the Falling Plate Event.